It is obviously just a cloud, isn't it? Actually, no, it's not just any cloud. Updated. 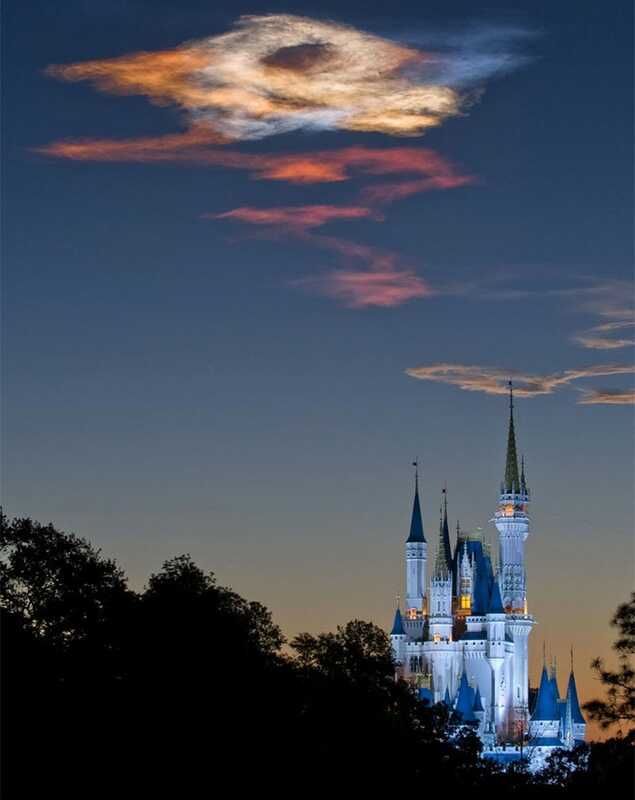 Photographer Kent Phillips captured the Space Shuttle Discovery's on an early morning launch to the International Space Station, which happened 60 miles from his position at Orlando's Walt Disney World. Update: Reader Thomas E. Henz Jr sent me this octopus/Spaguetti Monster shot of the same event.